The Sweet Words that Hurt us Both by Xei R. M.
About meMy name is Philip Dodd. I was born in 1952 in Liverpool, England. I have a degree in English literature from Newcastle University, and I have been writing songs, stories and poems since I was twelve. My first book, Angel War, was published in April, 2013 by Fast Print Publishing. I have my own page for my book on the Fast Print Publishing website at www.fast-print.net and on Amazon and on Goodreads. My poem, Searching For The Sangreal, was published in the summer issue (023) of The Dawntreader, a quarterly poetry magazine, published by Indigo Dreams Publishing. My poems, Enki and The Fair Majesty Of Folk At Peace, Sigurd, Windmill and Rainbow, Blodeuwedd, and Winter Night have been published in different issues of the same magazine. My first book, Angel War, was published in April, 2013. It was chosen as one of twelve finalists for The Wishing Shelf Independent Book Awards for 2013 in Category 5, Books for Adults (fiction), I am very surprised and pleased to report. 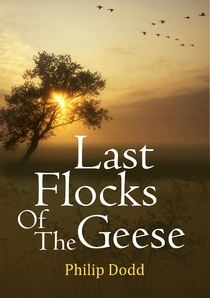 My second book, a light-hearted science fiction story, called Klubbe the Turkle and the Golden Star Coracle, was published in February, 2015, my third book, Still the Dawn: Poems and Ballads, was published in October, 2015, and my fourth book, Last Flocks of the Geese, was published in February, 2019. About my libraryIn my book collection, I have books by Shakespeare, John Milton, Homer, Mervyn Peake, Virginia Woolf, Thomas Hardy, Arthur C Clarke, J. R. R. Tolkien, Michelle Lovric, Evelyn Knightley, Paul E Horsman, John Keats, T.S. Eliot, Jules Verne, H. G. Wells, Joseph Conrad, John Fowles, Beryl Bainbridge, Emily Bronte, Anne Bronte, Charlotte Bronte, Alexandre Dumas, Fyodor Dosytoevsky, Jean Rhys, William Wordsworth, John Donne, Philip Pullman and old books of myths and legends, like The Elder Edda, Beowulf and Gilgamesh.